Today was a day to bake cookies. 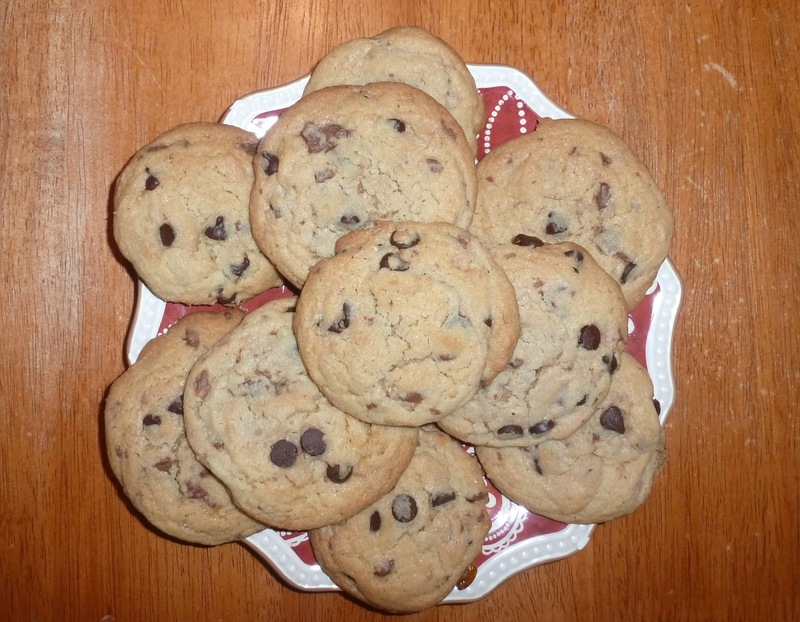 It’s been a while since I’ve baked treats with my daughter, so we decided to bake chocolate chip cookies. To spruce them up, I decided to combine Nestle Original Dark chocolate chips with Heath toffee pieces. They are delicious!!! Combine ingredients. I always melt my butter in the microwave before combining–makes it easier for my little one to help with stirring. Drop by large tablespoon-fulls or use a cookie scoop like I do, it makes it so easy and the cookies come out nice and round most of the time. Let cool on cookie sheet for 5 minutes. They will look mushy while hot, but trust me, after they cool for five minutes on cookie sheet and 10 on a wire cooling rack, they will be absolute perfection.